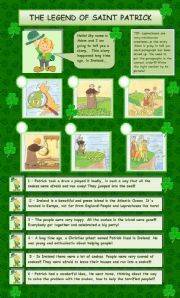 Easy quiz on the life of Saint Patrick - answer key included - Hope it´s useful.Have a nice day! 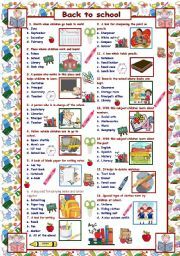 Two pages - worksheet that involves reading and writing. 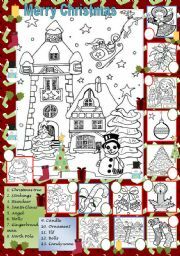 Children will enjoy the illustrations and understand the story, (even slow learners), through the pictures. Hope it´s useful. 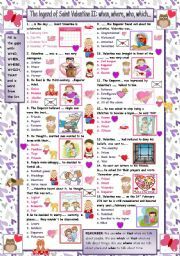 Quiz to review the life of courageous Saint Valentine and relative pronouns. Hope it´s useful. 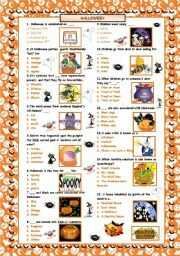 Easy Halloween quiz for beginners . Hope it´s useful. 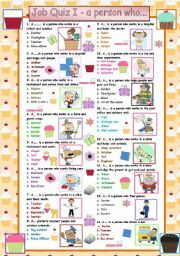 Easy quiz for beginners -second part- to review vocabulary for jobs. Key included. Hope it´s useful. 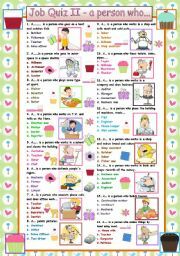 Easy quiz for beginners to review vocabulary for jobs. Key included. Hope it´s useful. 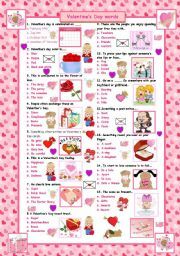 Easy Valentine´s Day vocabulary quiz for beginners . Hope it´s useful. IN MY CLASSROOM THERE IS…… THERE ISN´T… IS THERE…? 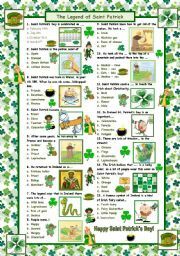 I´ve done this worksheet to use with my 4th grade class. 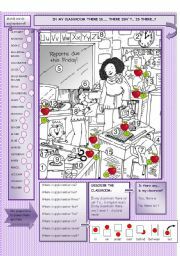 I´ll use it to review classroom objects, some basic prepositions and "there is" - "there are". Hope it´s useful for you too.